"Thanks to the efforts of their employee volunteers, Susrut will continue striving to eradicate blindness and make this world a beautiful place for those who are still in darkness." 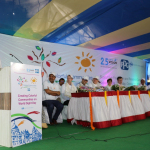 KOLKATA, India--(BUSINESS WIRE)--PPG (NYSE:PPG) and Essilor International today announced the launch of a COLORFUL COMMUNITIES™ project in Kolkata, India, that will help revitalize the Susrut Eye Foundation and Research Centre. 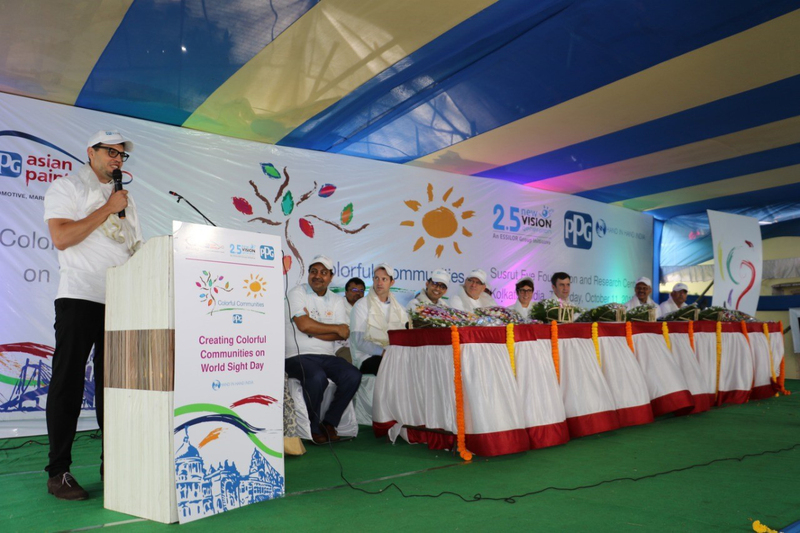 The Colorful Communities program provides PPG volunteers and products along with financial contributions to bring color and vitality to communities where the company operates around the world, such as in India, where PPG has manufacturing and administrative operations. The world's leading ophthalmic optics company, Essilor designs, manufactures and markets a wide range of lenses to correct and protect eyesight. Its mission is to improve lives by improving sight. In 2013, it created a dedicated division to bring vision care to the 2.5 billion people living with uncorrected poor vision by creating access and raising awareness. These efforts comprise inclusive business 2.5 New Vision Generation, strategic giving, raising awareness and advocacy. By the end of 2020, it will have trained 25,000 primary vision care providers and provided vision care to 50 million people at the base of the pyramid.